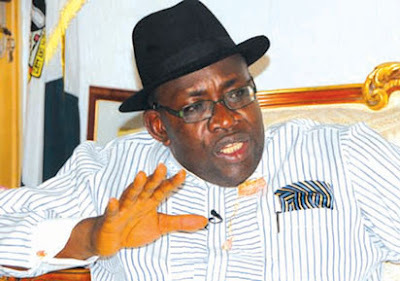 Chairman of the People’s Democratic Party (PDP) National Reconciliation Committee and governor of Bayelsa State, Seriake Dickson has denied asking chairman of the party's national caretaker committee, Senator Ahmed Makarfi to quit office as reported in the media. In a statement ‎by his Special Adviser on Media Relations, Francis Agbo, on Tuesday, ‎the governor said he only told Senior Editors and Bureau Chiefs of the various media organisations in an interview in Abuja, that for the party to bounce back, leaders must make sacrifices. ‎"To set the record straight, Governor Seriake Dickson spoke with a select group of journalists last Saturday, in Abuja, on the PDP crisis but he never asked Makarfi to step down. "He consequently appealed to PDP leaders including Sheriff and Makarfi to make sacrifices for the revival of the party, stressing that the PDP is more than Sheriff and Makarfi and indeed, any individual," the statement said. The governor added that he and his committee would not be distracted despite what he termed blackmail and propaganda. He stated that the ‎committee remained committed to reconciling all interests through dialogue, adding that only dialogue and sacrifices can engender true reconciliation.